Follow Alvin Hall as he meets the head of International Development Enterprises India and discovers what the organization is doing to combat drought for India's rural farming communities. Farming in India is such a risk that one bad season could mean the difference between surviving and starvation. With widespread droughts and low wells, many farmers need help from outside sources. 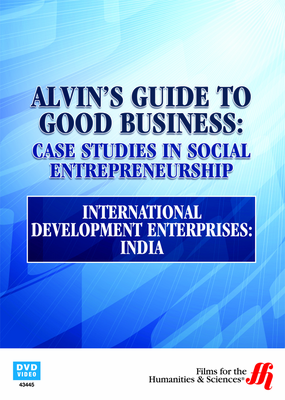 This is where groups like International Development Enterprises India come in. IDEI develops special technology for farmers, such as a drip irrigation system, which helps keep plants hydrated while conserving water. The system often rescues already in-danger farmers from losing their livelihood. Current head of IDEI Amitabha Sadangi faces a lot of challenges in the quest to save India’s rural farmers, including taking on marketing and promotion single-handedly. The effort is worth it, however, to see how much progress is made in short time.